Here’s a new product over at J-List that I think would be really useful if you’re learning Kanji. 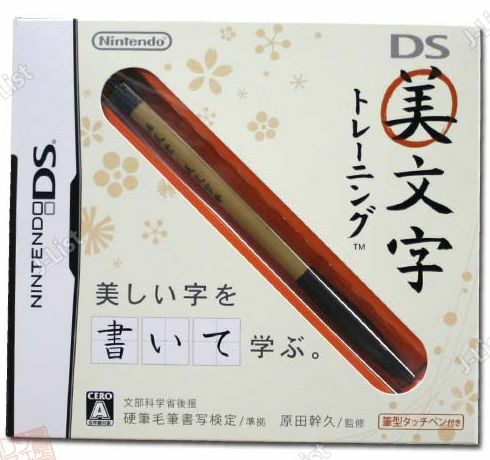 Beautiful Kanji Training is a Nintendo DS game that teaches you to write, as the name suggests, beautiful Kanji characters. Writing Check – Tests your ability to write characters with the proper stroke order. Daily Beautiful Kanji Training – Normal practice for writing correctly. Everyone Beautiful Kanji – A party game for 2-6 players where you take turns writing the right Kanji. Game can be limited to 3rd grade or 6th grade levels. Beautiful Kanji Dictionary – Lets you know the orgins for characters and gives tips to improve your writing. 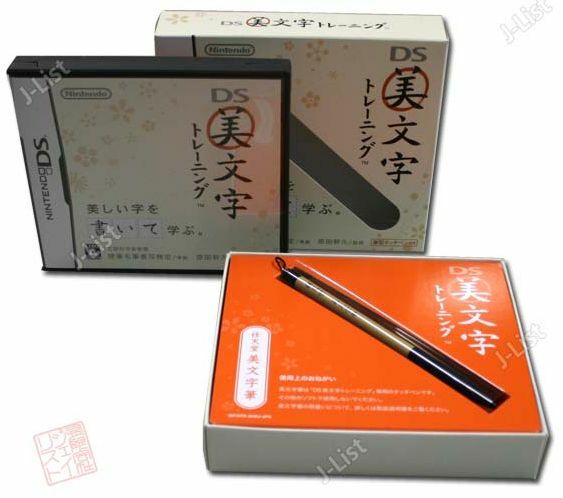 What’s nice about this is that it works with both Japanese and American versions of the Nintendo DS. However, all of the manuals are in Japanese. So if you are already learning Kanji, this will definitely be a help to your learning. Check out Beautiful Kanji Training at J-List!